Product designers have many different requirements and stakeholders to consider. Design for the Environment (DfE) criteria may appear to be just another set of considerations or requirements that the designer needs to balance and optimize. However, it is quickly becoming one of the more important considerations, and should be highlighted and tracked closely as a new way of developing products and services. DfE not only creates a new set of requirements, it creates a new mindset for the designer, and everyone involved in the development process. How does DfE get applied during the development process? A designer must start from the very beginning, at the raw material level, and determine how to minimize the environmental impact of the extraction and processing of these sources. Some materials can have much greater impact than others. They should also consider whether the raw material should be virgin, or made from recycled material. Other considerations should be around the proximity (location) of the supplier to the planned manufacturing site(s) and to the end customer. This will minimize transportation costs and impacts. During the manufacturing process, the designers need to consider how they can minimize the amount of waste and defects that occur in the process, in order to keep scrap and inefficiency as minimal as possible. The processes need to use equipment that uses the least amount of energy, produces the highest yields, least amount of rework, and should consider features such as standby energy-saver mode, auto-shutoff, and long term reliability. The work areas should also require the least amount of heating, cooling and lighting. The transportation of the product during the manufacturing process should also be minimized, to keep the items moving quickly through the process, and reduce internal transportation costs and impacts. 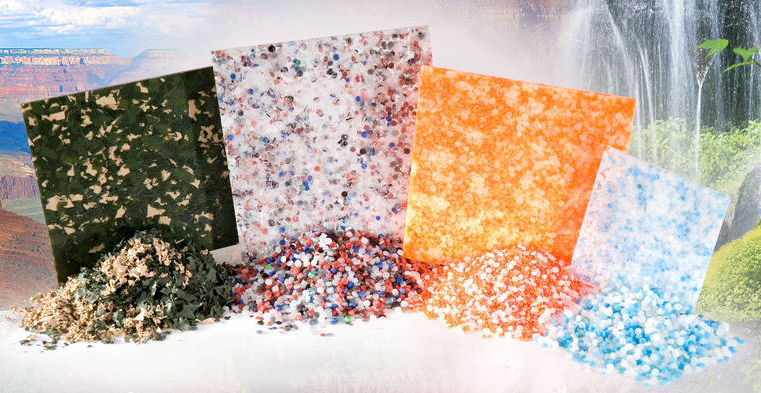 Once the product is manufactured, they must consider how the product is packaged (using recycled or biodegradable materials), as well as using as little amount of packaging as possible in order to protect it. They must also consider the most efficient method of shipment, and design the packaging to fit best into the space allotted. They should also consider reusable packaging between their suppliers and customers, which increase upfront costs, but pay for themselves quickly. They should also minimize internal packaging within the company, which can be much more than people realize. When the customer receives the product, they need to consider how it is used, in order to minimize the number of complaints, damages and returns. They need to anticipate how it might be incorrectly used, and what pieces need to be built with high reliability, so it lasts as long as possible. Companies take short cuts in this area, since it takes time and effort to figure out how your customers will actually use your products, but this can be a huge expense to your bottom line. Warranty and product recalls can quickly erode profits. After the product has completed its end of life, the designer must also think about how the product will be disassembled (in order to be recycled or biodegraded), and how the customer will return the product back to the manufacturer in order to be disassembled. By the time their product has reached its end of life, there will most likely be a requirement to allow the customer to return it for free, even if the EPA requirements are not there today. We are seeing more and more countries move towards a “polluter pays” or “producer responsibility” mentality, where the company is responsible for the end product after it has completed it’s useful life. The European Union has enacted the Waste from Electrical and Electronic Equipment (WEEE) directive, in which “producers of most electrical equipment are responsible for their products at the end of their useful lives. Producer responsibility includes meeting labeling requirements, providing information to end-users and treatment facilities, ensuring the availability of collection infrastructure, submitting sales and recovery data, and financing WEEE costs.” It is important that companies plan for full producer responsibility now on all materials (not just electronics), since it is much harder (and more expensive) to implement it retroactively on older products. All new electrical goods should now be marked with the crossed-out wheeled bin symbol, to show that they were produced after August 13th 2005, and should be disposed of separately from normal household waste so that they can be recycled. Do you have any examples of what things to consider for a new product? ECMA has created a checklist of environmentally-friendly options to consider for electronics products. If you don’t deal with electronics, you might find some of these ideas useful anyways. Doesn’t DfE cost more upfront? We are constantly in a struggle between DfE and the costs it can have on a product or service. Because the cost of carbon emissions today is not tied back to those who generate it, we have an imbalance in our market. We also have an abundance of raw materials (for now), so it can be less expensive to mine and dig up materials than reuse the ones you already have. That makes it less costly to use carbon sources (such as coal and oil) than those who do not, and therefore that difference is often times reflected in the cost to the customer. A more balanced cost for using carbon (carbon tax or fee) would encourage more companies to adopt DfE concepts. When a company decides to implement DfE, they could potentially add more cost to their product. Therefore it requires educating the customer to show the environmental benefits, and how they will be worth the extra cost upfront, but can provide significant cost reductions and avoidance in the long run. When done properly, focusing on the key cost drivers, DfE should reduce long-term costs and environmental risks overall. Why should a company adopt DfE right away, instead of waiting for legislation or customer request? The benefits of DfE are numerous, but most importantly they allow the company to innovate and re-think their products and services. This can improve the product, and make it more valuable to the customer. It can reduce the customer’s waste stream, which can help the customer reduce their own disposal costs. It can also increase the reputation of the company, showing that they are concerned about the environment. From a cost perspective, adding additional environmental requirements to a design project can increase the amount of research and testing needed to meet those requirements. There may also be some added costs for choosing less toxic or hazardous materials. Hopefully, these additional upfront costs will lead to reduced lifecycle costs. Too often, companies budget for a design phase, and incorrectly assess the long term costs of spending more upfront, to save in the future. There are also some ways in which the costs can be reduced for the company. More environmentally-friendly criteria will help reduce the risk of litigation and insurance costs due to environmental damages. In addition, reducing excessive packaging, materials, transportation and parts will reduce the overall cost to the customer. Finally, companies can view their take-back programs as an opportunity to interact with their customers directly, analyze how the products are being used, and get live feedback on what they like and do not like about the product or service. Companies miss out on this great opportunity to speak directly with their customers, and fail to incorporate that information back into their new offerings. In summary, DfE can improve customer satisfaction through reduced costs and improved product or service performance. However, it can also be misapplied, and drive customer dissatisfaction, and increase costs if not managed correctly, or by not focusing on the right areas for improvement. For more information, reference the HP website: Product Design for the Environment, Apple’s environmental footprint, DfE online certification or the EPA website on DfE. "The Treasure Hunt showed us that we can leverage the knowledge and skills of our IUE-CWA [union] workers to uncover additional cost-cutting opportunities, and these activities directly align to our factory ISO-14001 continuous improvement projects."